Kerala High Court in Prasanna Kumari E.S. v. The Registrar, Kannur University and Ors. has ruled in favor of the 40 year old visually impaired lady advocate, who was denied the post of a lecturer by Kannur University. The court also ordered the university to complete the aforesaid exercise within two months. Ms. Prasanna Kumari is a visually impaired person with 100% disability as certified by a Medical Board. She acquired an LLB Degree followed by a Post Graduate Degree (LLM) and also obtained the National Eligibility Test [NET] qualification that is mandated by the University Grants Commission for appointment as Lecturers. In the year 2008, the petitioner responded to notification dated 29.1.2008 issued by the Kannur University inviting applications for the post of Lecturer in Law. In the said notification, one post of Lecturer in the Department of Law was notified, and was reserved for physically handicapped persons. The notification made it clear that if there were no eligible candidates from the category for which the post was reserved, candidates belonging to other eligible categories including open category would be considered strictly as per the norms stipulated in the Kerala State & Subordinate Services Rules, 1958. During the interview, a question was raised with regard to her age. 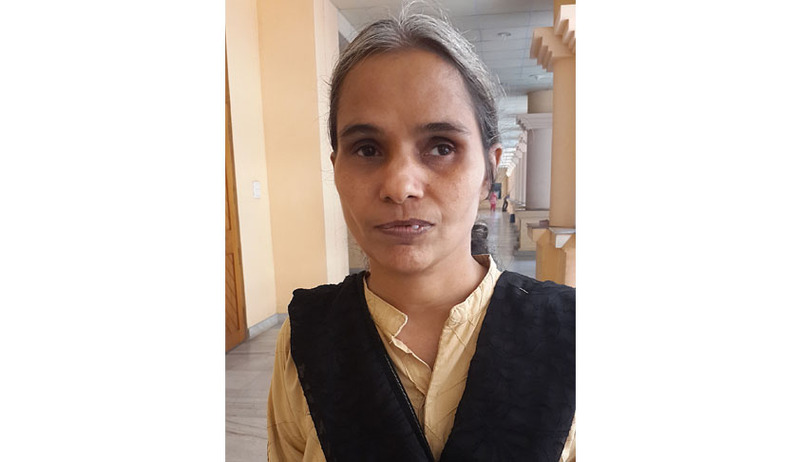 She clarified that by virtue of the Government order dated 25.5.1984 issued by the State Government, she was entitled to the benefit of age relaxation as contemplated for physically handicapped candidates. The University however, appointed a candidate from the open category to the post, without any further communication with the petitioner. The question to be considered by the Court was whether the Petitioner could be disqualified for the post of Lecturer in Law on account of the fact that she was aged 40 years and seven months as on 1.1.2008, the cut-off date mentioned in the notification. She had prayed that the appointment of the open category candidate to the post of Lecturer in Law, called under the vacancy and reservation Quota for Physically Handicapped, be declared illegal. She had further sought that she be declared entitled to be appointed as a Lecturer in Law. The University had contended that the State Rules providing for age relaxation was adopted by the University after the job was notified. The Court however observed that even though the university failed to adopt the rules framed by the state government, it could still have gone by the rules framed by the government in tune with the central legislation governing the field, the Persons with Disabilities (Equal Opportunities, Protection of Rights and Full Participation) Act of 1995. The Court also directed the University to consider the case for retaining the open category candidate who was erroneously appointed by the University, if possible, against any other vacancy in a sanctioned post or through the creation of a supernumerary post, if the rules of the respondent University so permit.